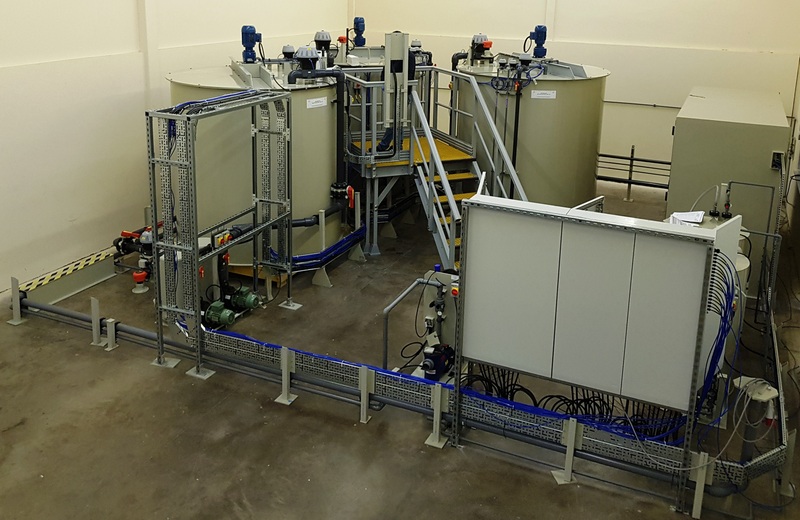 H+E, one of the leading international designers and suppliers of industrial process and wastewater treatment systems, has received an order for a new biological wastewater treatment plant. Svilocell, a Bulgarian viscose pulp producer has to meet the future EU-imposed discharge limits into the River Danube. To achieve this, H+E will provide expansion by adding biological treatment to the existing purely mechanical wastewater treatment plant. Svilocell ultimately decided to work with H+E due to the company’s many years of expertise. We have designed and built nearly 80 plants for the pulp and paper industry. Those long-term customers have also expressed their very positive experiences! Another positive factor was that H+E’s design allows the new process steps to integrate compactly into the existing plant layout. This utilises the available space efficiently. The wastewater is first cooled in an indirect cooling system to the temperature compatible with the biological process. A mechanical cleaning step then removes solids before the wastewater transfers to the new two-stage biological purification. The balanced combination of the BIOFIT®.H floating bed and the BIOFIT®.C aeration results in a cost-optimised solution. In particular, the AEROFIT.V ventilation system contributes to the intrinsic value and energy efficiency of the new wastewater treatment system. It allows trouble-free operation over a period of decades with a consistently high oxygen yield. Biochips with an especially high specific growth area are used as biofilm carriers. The chosen process line will equip Svilocell with a highly robust and efficient wastewater treatment facility from 2018 onwards, in order to fully meet the requirements for environmental protection. H+E also offers other process technologies for the pulp and paper industry, such as the cost-effective and energy-efficient mechanical treatment FLOCOMAT®.T and, for tertiary treatment, the BIOFIT®.Oxyd2 or FLOCOPAC® processes to reduce resistant COD. H+E has always offered Long-Term Technical Support, Servicing and Spare parts to every client. In many exceeds 25 years, demonstrating the long life of our designs. We also offer the same service to you if your plant was supplied by another company. Please just contact us and we will be happy to talk to you about your needs. 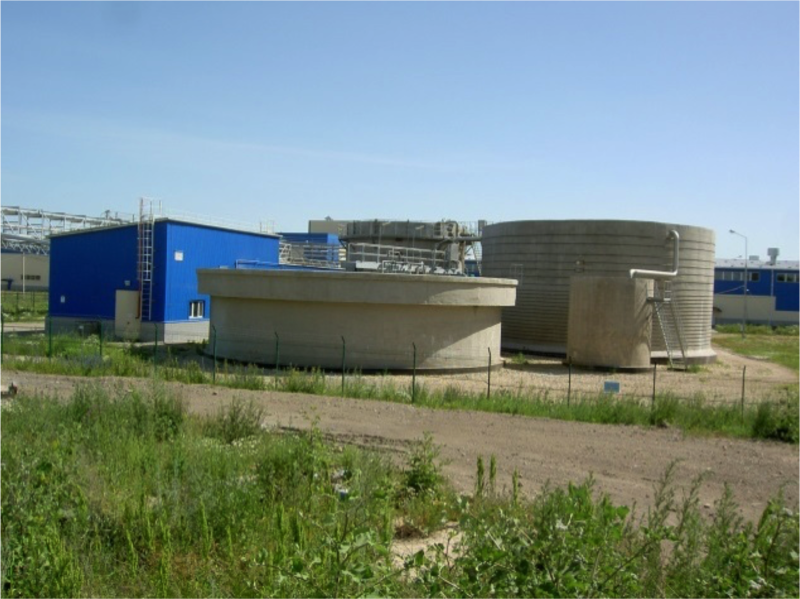 H+E recently modernised a biological wastewater treatment plant for Knauf Petroboard AG in Russia. Completing this project together with our Russian subsidiary, OOO H+E Rus, enabled us to provide a complete package to the client. 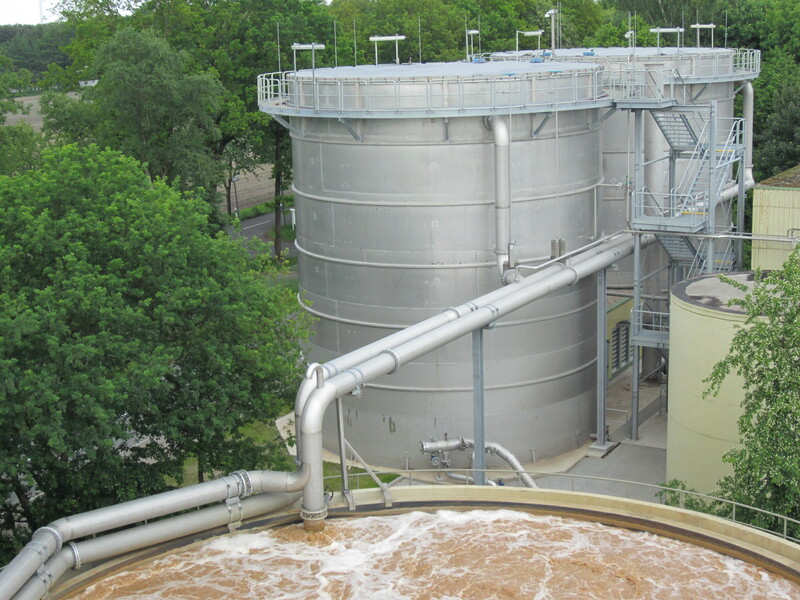 Modernisation of the wastewater treatment plant at “Knauf Petroboard AG” was necessary to ensure improvement of the quality of treated wastewater. As a result, we therefore ensured protection of fishing waters into which it discharges. Its many years of experience in treating this type of waste. The proposed process concept for the renewal of the wastewater treatment plant. H+E’s ability to undertake the modernisation of the wastewater treatment plant. To guarantee the strict limit values for purified wastewater discharged into a fishing river. All this was done at the same time as the client re-built a board manufacturing machine. Installation of two new drum screens and two FLOCOMAT®.T clarifiers. Converting the two existing pre-clarifiers into a combination of BIOFIT®.H high-load and BIOFIT®.SC low-load biological treatment stages. Expanding the ventilation station. This included retrofitting the existing second-stage aeration tanks with a new AEROFIT®.V ventilation system. Installing a disinfection plant upstream of the purified sanitary water discharge into the river. These changes therefore represent a compact solution, already been widely tested in the paper industry on many occasions. A BIOFIT®.HAC floating bed with powdered activated carbon dosing system. A FLOCOPAC® high-performance contact sludge inclined-plate clarifier. It is installed upstream of the UV disinfection system. This important addition ensured that could therefore achieve the required low discharge values. Integrating already existing components of the plant also reduced the investment cost; another advantage. H+E has been a leading international supplier of industrial water & wastewater treatment systems for many years. We have a reputation for both innovation and very high quality. Carefully constructed to a high standard. Over the years, we have received a great many repeat orders from our clients. We believe demonstrates quite clearly the relationship of both trust and respect that we have with them. One recent example is a repeat order for the construction of a complete process water and wastewater treatment plant. This is from a leading PCB manufacturer. The overall plant comprises both an ion exchange deionisation facility and a treatment plant for wastewater of various types. In addition to the trust that exists between the companies, H+E was able to clearly demonstrate a proven treatment concept that addresses the client’s current and future needs. The very clear goal of this is to increase the flexibility, cost-effectiveness and availability of the plant. For example, the opportunities for resource recovery have been improved. This therefore reduces operating cost and also reduces the environmental impact of the plant. How we can assist you to meet your targets? If you have similar goals, please contact us; we will be happy to discuss how to assist you to achieve your aims. H+E has recently delivered a new Wastewater Treatment Plant for the new Graphene Engineering & Innovation Centre. This is for the University of Manchester, where graphene was first isolated in 2004. Graphene is amazing; dubbed the world’s first 2-D material, it is 200 times stronger than steel, yet incredibly thin and transparent. The potential applications for its use are incredible! There has been more than a decade of research into the vast potential that this incredible material has to be used in our everyday lives. The new GEIC will provide ever better facilities to keep Manchester at the forefront of its development. Wastewater collected from the R&D facilities will flow to a network of collection pipes. From there, pumping systems transfer it to the treatment plant. Due to the potentially enormous variation in incoming quality, three separate tanks collect and treat the wastewater in batches. Chemical dosing is automatic. Automatic systems then check that the wastewater is suitable for discharge to foul sewer. There is a possibility of various concentrations of a range of organic materials being present. This is also analysed. H+E manufactured, assembled and tested the plant in our factory before delivery. In recent years, H+E has dramatically increased the amount of pre-assembly and factory testing done for its plants. The prime reasons for this are to both improve the quality of equipment supplied and also minimise installation time on site. These continuously-uprated targets are totally in-line with H+E’s philosophy of Continuous Improvement. We always try to keep in regular contact with all our clients. We have some who we still visit regularly, and whose plants are well over 25 years old and working fine! But, even then, when we look back at the systems we supplied just a few years ago, we realise how much the quality of what we supply has improved. This means that our philosophy of Continuous Improvement is important; it really works! A high percentage of our overall business is from clients placing more orders with us. So, although we know we are a long way from being perfect, we think it is reasonable to assume that we are doing a fairly good job and that our clients are satisfied! H+E, one of the leading international providers of industrial process and wastewater treatment recently supplied a complete wastewater treatment for a sugar producer in Croatia. We have designed and built more than 40 treatment systems for sugar production worldwide. This includes plants in Lithuania, Egypt and Chile. H+E therefore has a huge amount of experience with the rather unusual requirements of this type of wastewater. 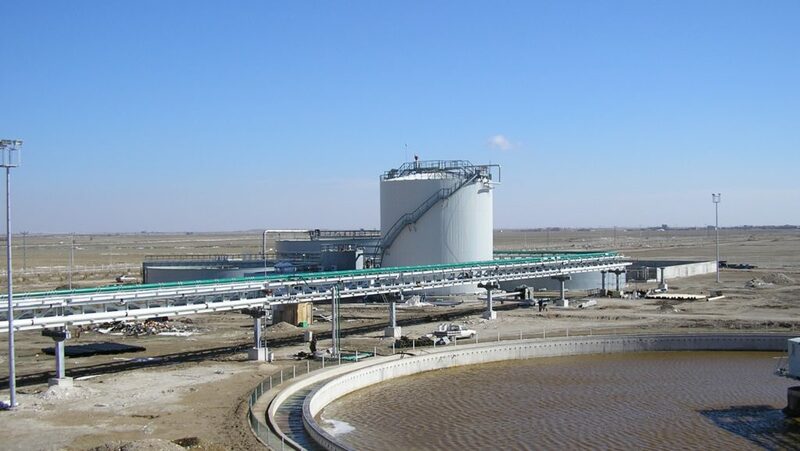 The sugar industry uses flume water circuits for the cleaning of the delivered sugar beet. Many companies add lime to the water, the so-called “alkaline” mode of operation. This reduces odour pollution, improves the settleability of the washed-off soil and reduces corrosion in the pipelines, thereby also minimising maintenance costs. But using lime also results in wastewaters with high calcium content and a strong tendency to precipitate lime-containing solids. These precipitates lead to extensive operational problems in anaerobic wastewater treatment. They also clog the membrane aerators in aerobic wastewater treatment. This considerably reduces the capacity of the treatment plant. H+E solutions to these problems were specifically developed to deal with the issues resulting from the use of lime in sugar industry wastewater. These technological innovations include ANAFIT®.CS, one of the water treatment solutions from our ANAFIT® product range. 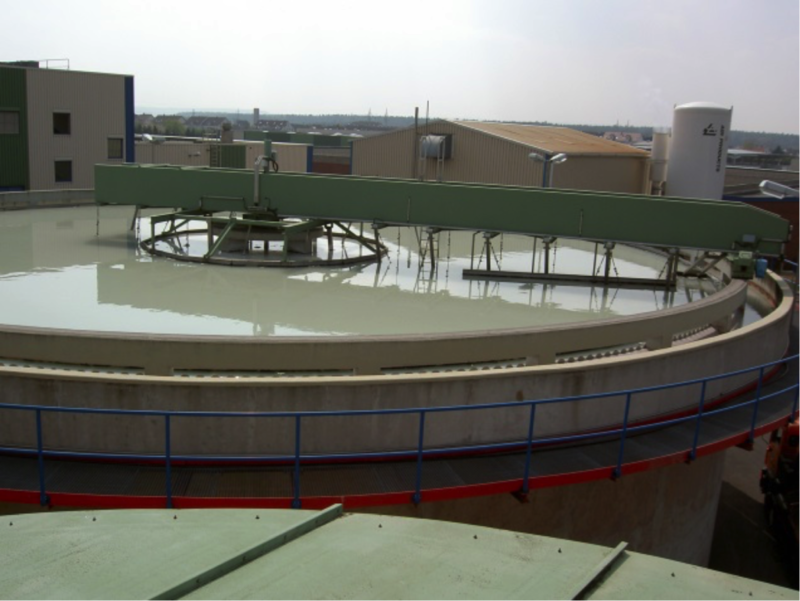 Based on the anaerobic contact sludge process, ANAFIT®.CS is a reliable, proven and effective process for the treatment of the calcium-rich, organically highly loaded wastewaters from the sugar industry. H+E also offers other process technologies for wastewater from the sugar industry: For example, the BIOFIT®.N treatment for nitrification/denitrification in an aerobic stage. Here, we use H+E’s own specially developed aerators. Even at high calcium concentrations, they reliably supply oxygen for years without requiring any maintenance. In Croatia, industrial companies have faced stricter quality requirements in recent years following accession to the EU. Due to this, the client decided to invest in a new treatment plant including anaerobic and an aerobic stages. We arranged a visit to a nearby reference plant. This helped to convince the customer of our experience and expertise. Subsequently, the International Sugar Journal published an article about this project. You can download that article here.